Vacuum Helium Leak Testing Services | Meyer Tool & Mfg. - Meyer Tool & Mfg. 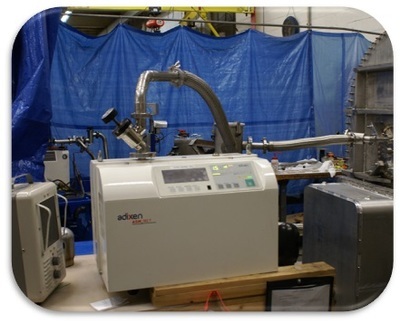 Helium leak testing is required for all of the cryogenic equipment and vacuum vessels we build. Final leak tests are performed once the vessel fabrication is complete. 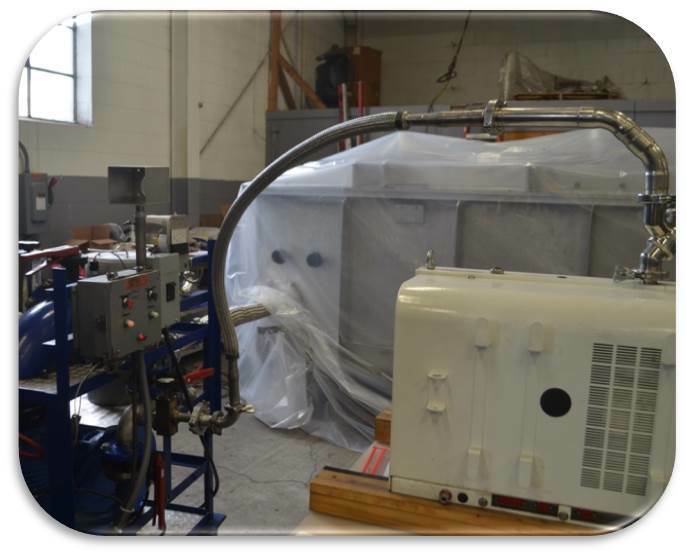 There are also numerous intermediate leak checks performed on subassembly weldments during different stages of the production process. In some cases, welds cannot be repaired once subassemblies are attached to the main vessel so it becomes imperative to ensure that individual welds are leak tight. In the big picture it actually speeds up production time since it greatly reduces the amount of time required to pinpoint a leak. Helium leak detection is performed with a self calibrated leak detector. A vacuum of 10-6 Torr or lower is pulled on either the interior or exterior of the assembly that is being tested. 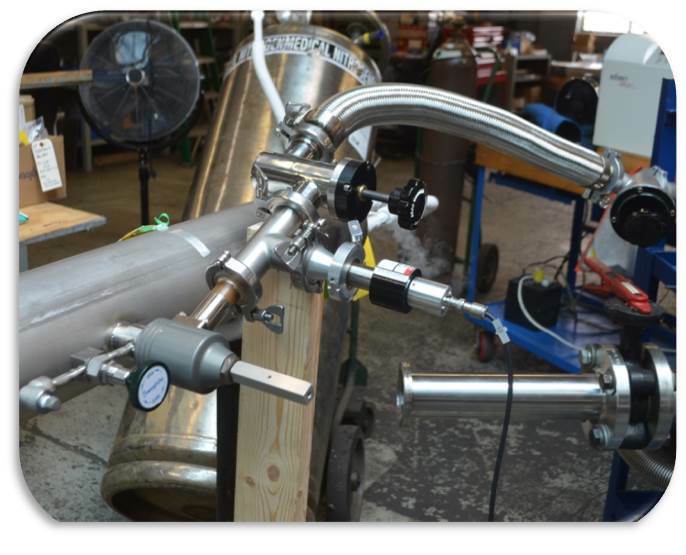 A wand is used to blow a small amount of Helium around each questionable weld zone. If there is a leak in a weld, the Helium will be drawn into the vacuum and the detector will sound an alarm. In some cases the entire part can be enclosed in a bag filled with Helium. The bagging process is a conservative method used to prove that no leaks are present in the vessel. The leak detector will specify the leak rate that is detected. 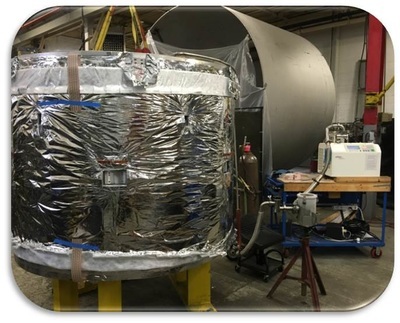 Commonly, for cryogenic and vacuum equipment, leak rate acceptance criteria would require a system sensitivity of 1x10-9 to 1x10-8 atm.cc/sec, (mbar.l/s), for a valid leak test.